Technical innovation thrives on the knowhow of the user. As part of the PERI Academy activities, we therefore help our customers to become familiar with the optimal use of our system equipment and latest technologies. 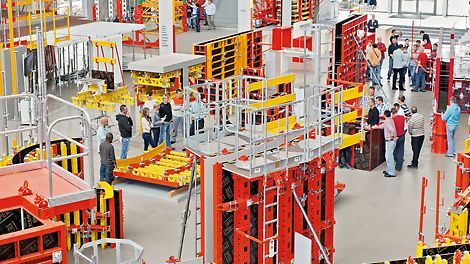 In concrete terms this means: we organize seminars, workshops and product training courses in which we pass on specialist knowledge and provide practiceoriented training. In so doing, we support the users to efficiently implement PERI solutions on the construction site even when under time pressure. If interested, you can have a look for more detailled information at PERI Germany and register for seminars.